Homeowners rarely need an excuse to remodel their homes, but doing so can mean wading into a world both alien and expensive. Hiring the right contractor makes all the difference to the success and affordability of your project. Most contractors are professionals who do their best. So, the key is to avoid the few who can turn your home renovation dream into a nightmare. The best way to find a competent contractor is to ask friends, colleagues and family for the names of pros with whom they’ve had a great experience. Send your network an email. Or, phone friends and ask acquaintances for recommendations. Why they recommend the contractor. What kind of work they had done. Whether the contractor finished on time and on budget. Whether there were any problems. When you have narrowed your list to two or three contractors, ask to see their business licenses. Make photocopies and verify they are current by contacting the board or agency that licenses contractors in your state. Home Advisor provides this handy site to look up your state’s licensing requirements and check out individual contractors. The licensing agency in each state is also the first place to look to find out if a contractor has been the subject of complaints or government disciplinary actions. Check at your county’s district court office for lawsuits naming the contractor or business you are considering using. Search online for mentions of the contractor’s name and the business’s name. Liability coverage: Covers any property damage or injured parties related to the project. Workers’ compensation insurance: Provides payment to workers injured at the job site. Ask each contractor you are considering for a copy of evidence of his or her liability insurance, including the phone number of the agent who sold the policy. Call the insurance agent to confirm that the contractor’s premiums are paid up and the policy is in force. Sit down for a half-hour or more with each contractor you are considering. 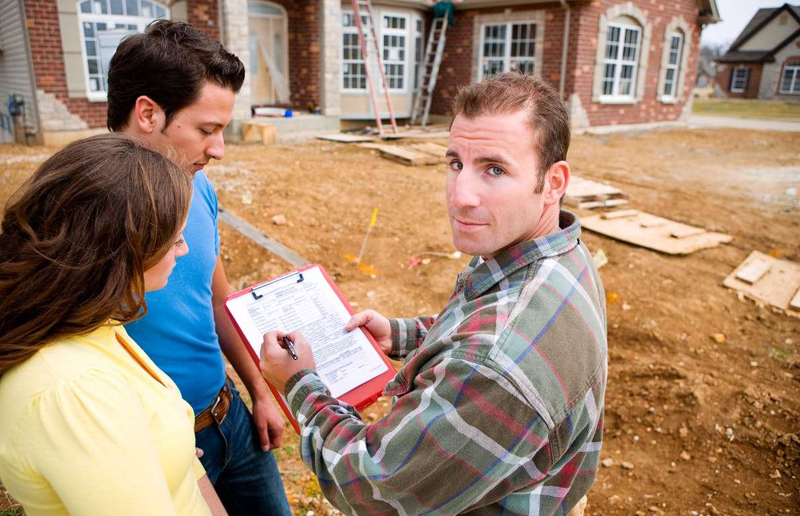 Talk over the job, and ask each contractor to outline expectations. Ask the contractor to outline his or her credentials and experience. The Federal Trade Commission has a detailed list of questions to ask. Ask each contractor you’re considering for three references. Confirm that the contractor really did the jobs he or she claims to have completed. Find out when the work was done, how long it took and whether it was finished on time. Some contractors carry photos to show the quality of their workmanship. But it’s even better to ask the former clients who were the contractor’s references if you can see the work. An in-person look enables you to confirm quality in a way you can’t with photos. Make sure you and the contractor have the same understanding of the work to be done. Ideally, you or the contractor should write a detailed list of each task with steps to be completed and dates for completion. HouseLogic explains how to draw up the contract and what to include. Critically, the contract should make it clear that any required permits will be acquired by the contractor. Do not get roped into doing it yourself. Your contractor may ask for a portion of the payment upfront. That’s often reasonable. But agreeing to make a large upfront payment presents a risk for you. If you are asked to cover the cost of materials, see if you can pay the supplier directly. This keeps you in control of the money and lets you know whether the contractor is sharing any discount with you or charging you a markup on materials. Contact consumer protection authorities in your state to find out about any restrictions or rules that contractors must follow. Some states regulate what a contractor may charge upfront. First payment should be no more than 10 percent of the total job. Final payment should be enough cash — as much as one-third of the project’s total cost — to make sure the contractor returns to correct unfinished details. Money Talks News founder Stacy Johnson suggests waiting a couple of weeks before closing the books on a job. “Make sure you like it, and then make the last payment,” he advises. When asking several contractors to make competitive bids, be wary of any that come in far lower than the rest. A little lower is fine, but the “too-good-to-be-true” rule applies here. There’s probably something wrong with a radically lower bid. It often means there will be expensive surprises later in the project. It’s not unreasonable for a contractor to juggle more than one project at a time. But this can get out of hand, leaving homeowners waiting for their job to be completed. To ensure prompt completion of the job, include a penalty for late completion in your contract. In fact, you might add an incentive payment for an early wrap-up.